These dynamic workshops are uplifting, engaging and fun. In each course you will learn traditional African rhythms, songs, technique, warm up exercises and jamming. Connect with your community and have fun and then come and play at the end of term community celebration. Receive $100 discount when signing up to attend 2 courses! Don’t forget to show your name when making the transfer/deposit. We specialise in drumming playshops for all occasions and are happy to discuss how we can make your next event truly memorable. Perfect for celebrating any special event. We will bring an African djembe drum for each participant direct to your venue. Our professional facilitators will guide the group on a rhythmic journey that will inevitably unite the group and awaken the senses. 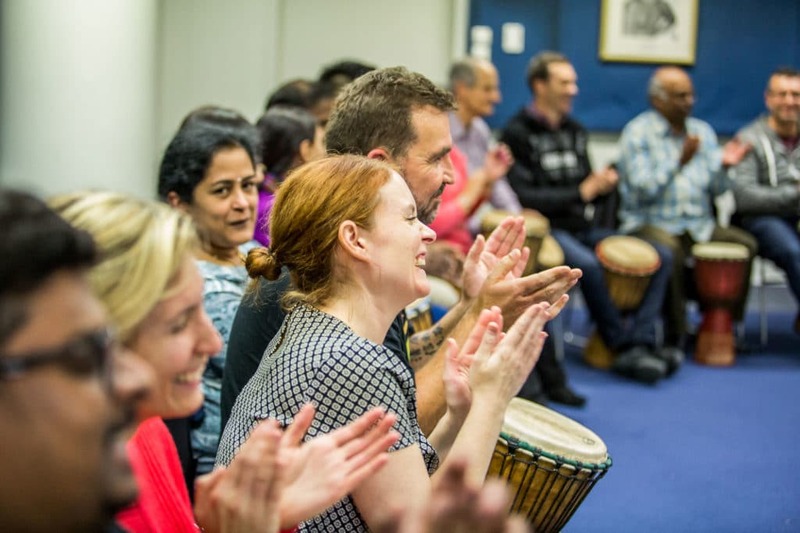 We use multi part African rhythms to create a powerful, connected group experience and offer other activities such as dancing. singing, body percussion and jamming. We can cater for large scale events and smaller more intimate group sessions. Perfect for all ages and walks of life…no previous experience necessary. 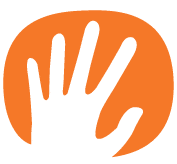 Each event is unique so we will customise a free quote for you. This is based on the number of participants, how many performers we will bring and the duration and location of the event. 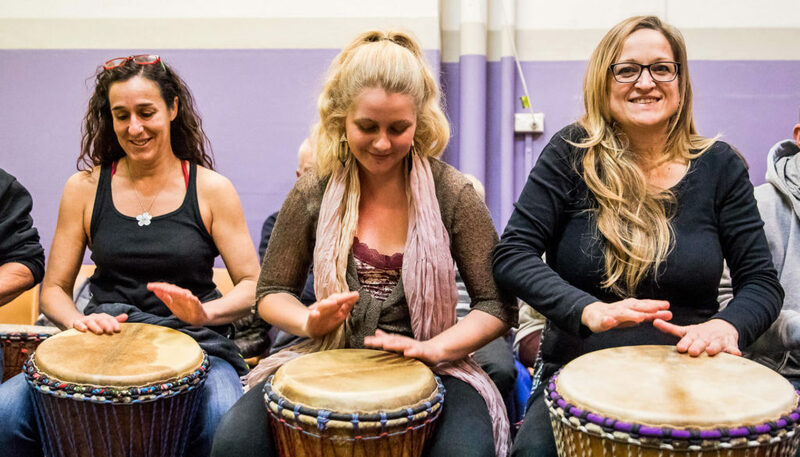 "Just wanted to say how amazing both courses have been… no matter how you feel before drumming class, the buzz and feeling during class makes you smile and tap your leg long after the class is finished. Have loved every minute of it and am in for the next course for sure!" "Thank you for an amazing session. I actually felt like for the first time I was drumming from my heart and not my head I feel so energised today!!!" "I completed your recent course at Newtown and Bondi and also came to the performance night. I just wanted to say how much I enjoyed the experience. You provide a truly unique product that you obviously put your all into. Thanks for sharing your passion." 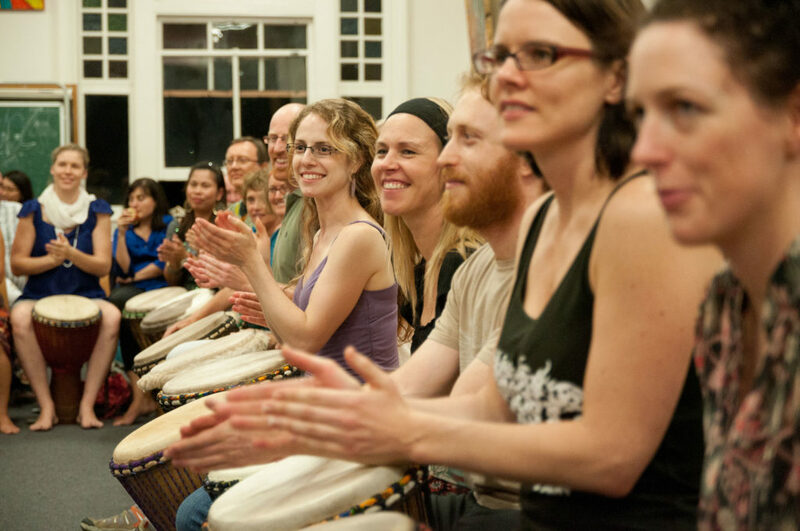 These awesome free community events offer our students the chance to play the rhythms they have been learning to a live audience including family and friends. These events happen at the end of each drum course and feature a free open drum circle jam for all. WHERE: Sydney Park, 2 King St, Alexandria (in the park look for the big 'old smoke stacks' on the Princes Highway side) If it looks like rainy weather on the day we will move the session to Newtown North Public School. Carillon Ave at the same time. BYO food and drinks and drum and stool if you have one. 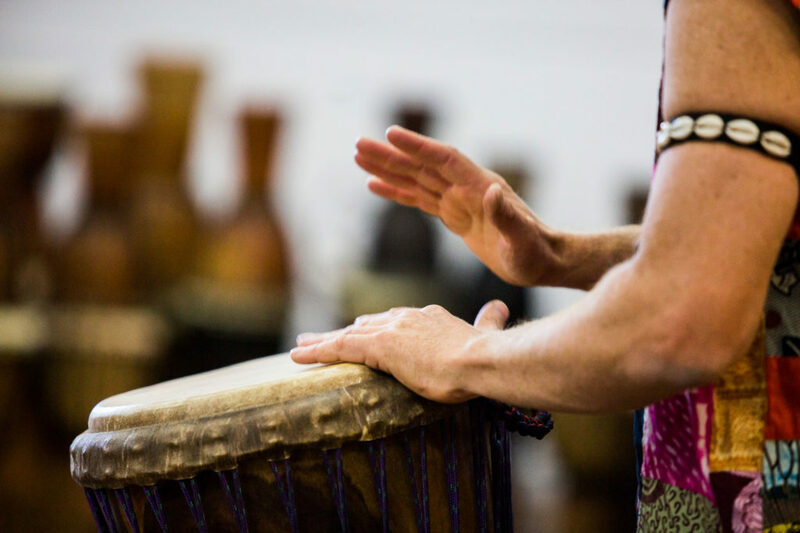 Drumming and music have the unmistakable power to heal and connect groups of people. Our experienced team offer well structured, fun and inclusive sessions with many creative and expressive outlets. We bring instruments for all the participants and offer a variety of fun activities such as drumming, performance, storytelling, singing, didjeridoo drama, movement and dance. The emphasis is on the many healing and beneficial attributes of music as well as positive communication and having fun. We can run the session as a special one off event or as a regular course (e.g 8 – 10 week course) featuring a performance at the end of the term. We will bring an African djembe drum and percussion instruments for each participant direct to your venue. 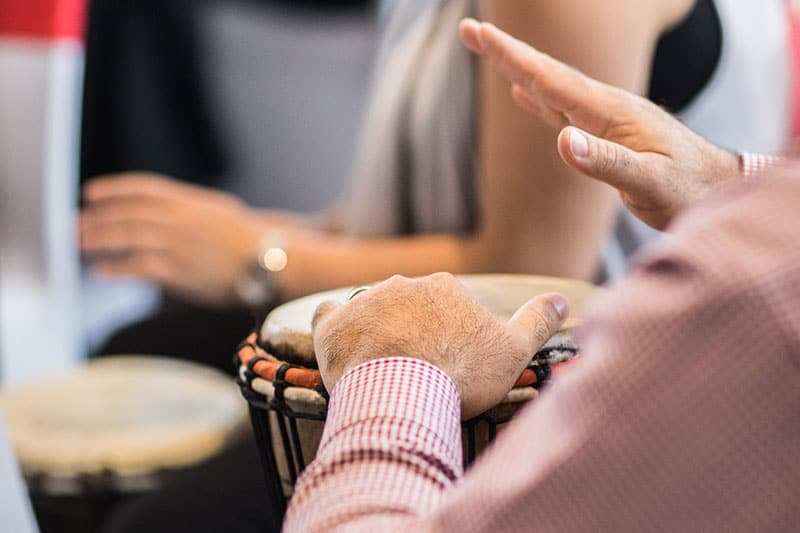 Our professional facilitators will then guide the group on a rhythmic journey using simple rhythms to create an expressive, therapeutic outlet. We also offer many interactive elements such as dancing. singing, storytelling, body percussion and didjeridoo. Perfect for all ages and levels of ability. We offer live music performances and sound therapy sessions for different types of events. Music has the power to heal and connect groups of people and our experienced performers create a unique, ambient listening experience. Combining live performance on any combination of didjeridoo, voice, hand pan (hang), gongs, stringed instruments, chimes and drumming.